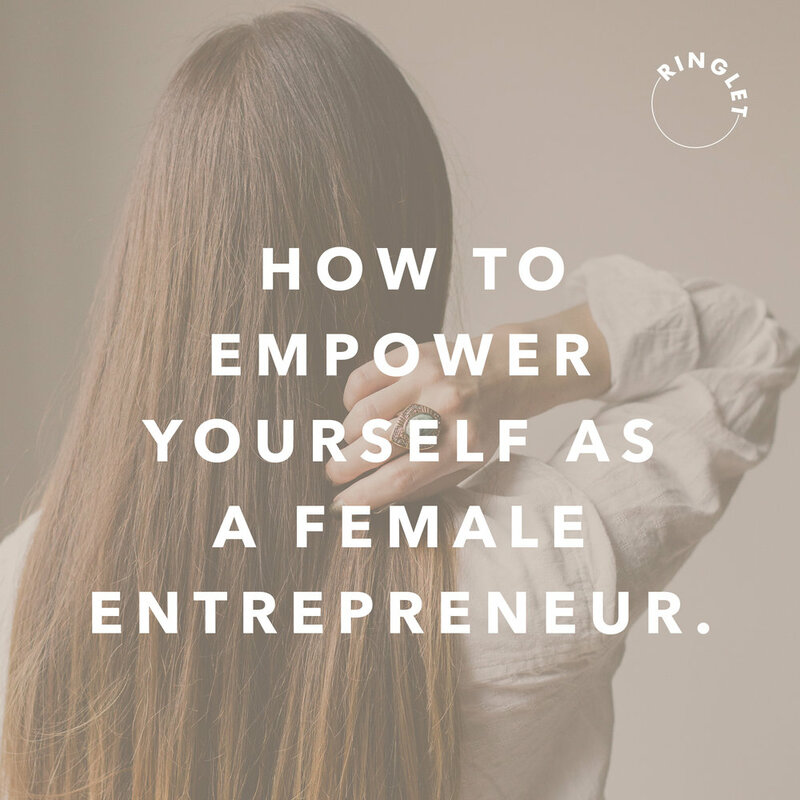 Entering the world of female entrepreneurship doesn’t equate to feeling empowered in your day to day. In fact, quite the opposite can happen and it is easy to spiral down a hole of self doubt, fear and feeling powerless. A lot of this stems from just not knowing what to expect and getting into the comparison game with others in your industry. is no one direct path to success. Each person’s path looks completely different, but one thing that everyone at the top has in common, is that they took risks and continue to take risks over and over again. Learning to be your own boss and create your dream life means betting on yourself and not looking back. Taking risks that feel scary yet exciting is usually a sign that you are on the right track. Learning to love this discomfort will take you much further than any comfort zone ever will. So many people in the entrepreneur space define success as a monetary amount, and while financial success is important, being driven by monetary goals will have you burnout out faster than anything else will. Defining your success by the people you help and the progress you make in your business rather than comparing yourself to the success of others will be a much more satisfying benchmark that will lead you to the right path. What may seem like failures are only necessary learning opportunities that set you up to be a much better and successful entrepreneur in the long run. Entrepreneurship is so much more about the journey than some arbitrary destination so celebrating every little win will make it that much more enjoyable and keep you going when times get tough. Basking in the joy of the first time you reach a new milestone and take exciting risks in your business that will take it to the next level are great reasons to celebrate. Each and every mini celebration helps to keep the momentum going and you should give yourself credit for the amazing journey you are on that so few people are brave enough to embark on. Final Thoughts on Being a Female Entrepreneur. Never has there been a better time to be a female entrepreneur in the online world to succeed and go big. We all have unique gifts and talents that can be transformed into online empires that impact the globe. Living up to your full potential and following your dreams means that you can empower you to be the best version of yourself. It means that you can shine your light and inspire women everywhere to do the same. Push yourself to live your dream and empower yourself everyday to be better than you were the day before. Sign up with your email address to receive news, our weekly Ringlet, updates, freebies, female boss interviews, awesome tips + tricks and so MUCH more!